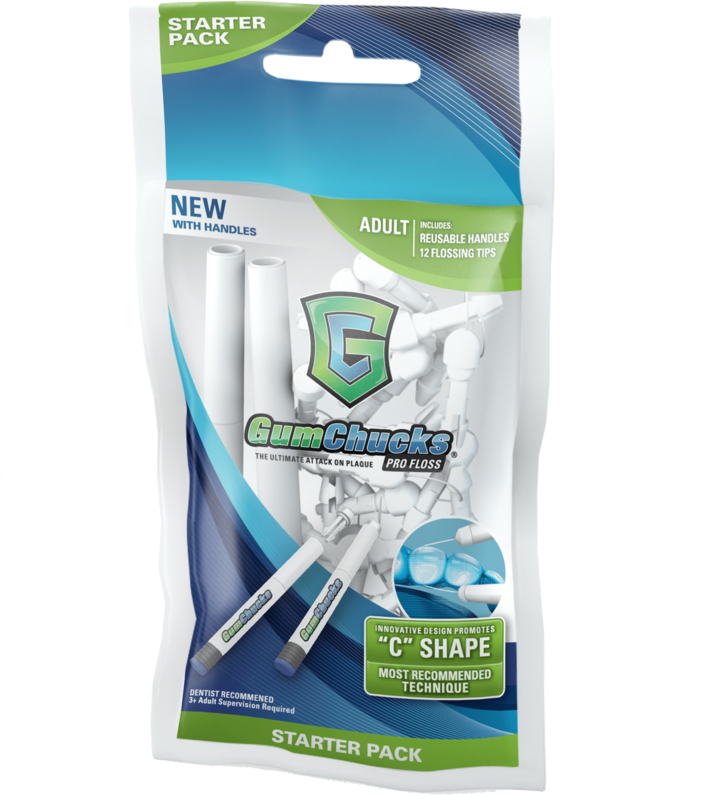 GumChucks give individuals with limited dexterity, especially seniors, handles that provide for better leverage, keep the floss taut for smooth, painless entry, and avoid cut off blood circulation from floss-wrapped finger tips. Better dexterity means better control when flossing around dental work. Dental hygiene has been directly linked with dementia and it’s never too late to start taking care of your dental and mental health. GumChucks do away with the frivolous floss and constant contortions to try and reach every area of your mouth. The innovative design means that flossing is quicker and easier than ever. Flossing well requires making a “C” shape, wrapping the floss around the tooth to get beneath the gum line to break up the bacteria and remove plaque.